Chandrika Bandaranaike Kumaratunga spoke of widespread exploitation, touching more than 80,000 women with children in northern and eastern Sri Lanka. The lack of livelihood makes them even more vulnerable. Although the military has denied any wrongdoing, in the past it has cracked down on troop misconduct. 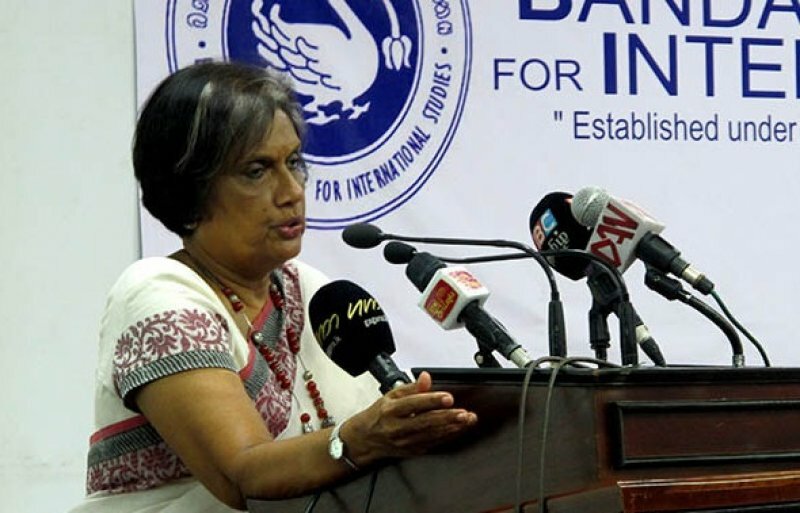 Colombo (AsiaNews) – Many war widows are sexually abused by soldiers, asked to perform sexual favours to speed up paper work, former President Chandrika Bandaranaike Kumaratunga recently told foreign correspondents. The former head of state, the only woman to occupy the post, noted that many women who lost their husbands in the country’s civil war in the northern and eastern provinces are faced with widespread sexual exploitation by officials in their own community as well as by the military. According to some estimates, more than 80,000 war widows live in the Northern and Eastern Provinces. Most of them struggle daily to survive, with children but often without a home. Ms Bandaranaike Kumaratunga knows firsthand this kind of pain. Her father, Prime Minister Solomon Bandaranaike, was assassinated in 1959, succeeded by his wife, Sirimavo Bandaranaike. In 1988, she too lost her husband, a famous actor, killed before her eyes, and was left with two children to raise. Currently chairing the Office for National Unity and Reconciliation, Bandaranaike Kumaratunga dared to lift the veil on a very widespread practice in the island-nation. “There were several incidents of officials demanding sexual favours from women,” she explained. “Even to sign a document, women were abused and of course some people in the armed forces continue to commit sexual abuse". Responding to her statement, the Sri Lankan military denied the charges, calling the allegations “baseless” since the Armed Forces are not involved in the civilian administration. Nevertheless, in the past the military did crackdown on troop misconduct. But there is no overall picture of the situation since there is no data base, and most cases are not reported. For Bandaranaike Kumaratunga, women are even more vulnerable because they often lack the means to survive and so are more easily victims of exploitation. In view of this, she noted that war widows need psychological counselling to cope with the trauma they experienced, and that this should be done with local, not foreign resources.